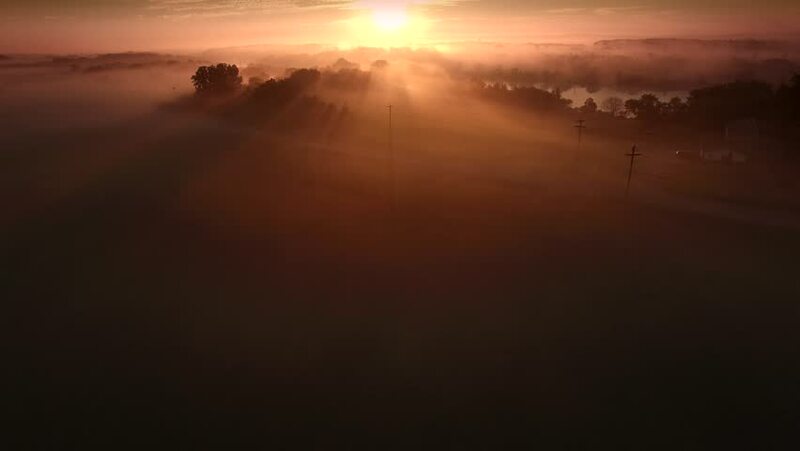 Magical sunrise over foggy river, moving aerial view. 4k00:22Rays of God, Sunset AERIAL, 4k. Backlit clouds Features light RAYS from backlit sun. hd00:27Sunset over the trees and clouds. Time Lapse. The bright red sun moves over the horizon and the clouds and hides behind the treetops. 4k00:16Aerial drone footage of bright green farmers fields in the summer time with lush trees and a blue sky in a brilliant sunset.